With A Series Of Small Bans, Cities Turn Homelessness Into A Crime By prohibiting acts like loitering and sleeping in public, cities hope to make streets safer. But advocates for the homeless say this type of legislation can be counterproductive. 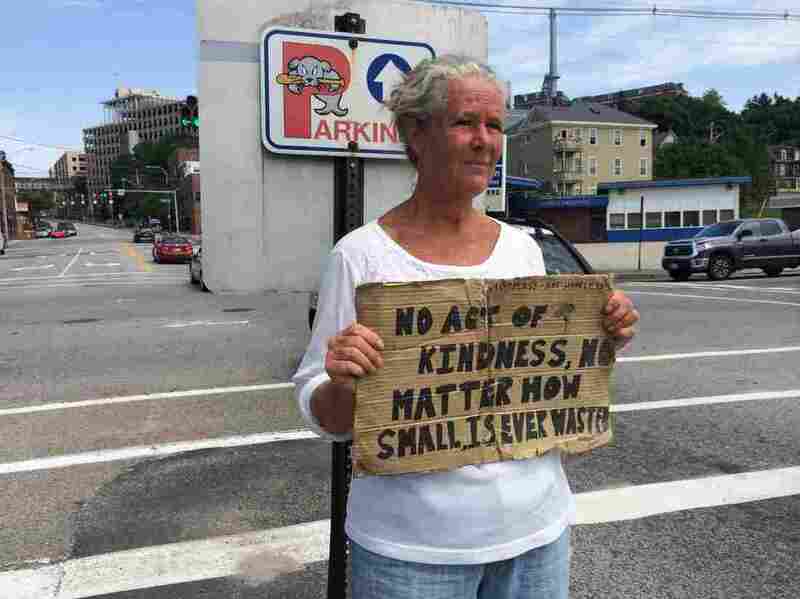 Susan St. Amour panhandles on a median in Portland, Maine. The city tried to ban loitering on medians last year, but a judge found the law unconstitutional.